Mariah Langston has a life that most women would envy. She has a prestigious career, beautiful home in San Diego, and a man who understands her every need, even when that need is to not get married again for the third time. Three years into their relationship, Mariah wins the Spotlight Senior Executive of the Year award with her marketing firm, and Isaac decides it’s time to celebrate in a big way. He proposes. Flustered and caught off guard, Mariah accepts his hand; but in the weeks to follow, she struggles with the idea of getting married again. 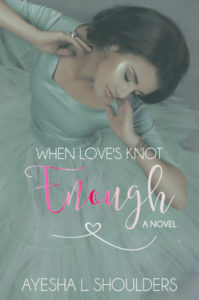 Will Mariah overcome her fears and give marriage one more try or is love just knot enough to save her relationship with the man of her dreams? Shellie Simone’s dream job as a Project Manager for an IT company turns into a nightmare when she finds herself the victim of sexual assault in the workplace. She attempts to report the perpetrator to Human Resources, but his uncle, the VP over the Finance division, tries to stop her by bribing her with an increase in her salary to keep it undisclosed. Shellie decides to confide in her friend Standra Wilcom for support, but soon finds out that she has other things keeping her busy these days. 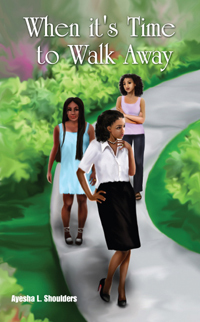 Following a hurtful break-up with her boyfriend, Standra decides to hook up with their friend Eboni Gilliar’s husband while he and Eboni are having problems. Just when Standra thinks she has the perfect plan to keep Craig from going back to his wife, Shellie finds out about their relationship, and now Standra is in jeopardy of losing everything. As this story unravels, all three women will become involved in a whirlwind of major life events that will change the dynamics of their relationship forever. Will their friendship survive the storm or is it Time to Walk Away? To all the readers and my family, thank you for your loving support of my novels! Thank you for visiting! Follow me on Facebook and Twitter!